Autobacs Seven Co., Ltd. (株式会社オートバックスセブン, Kabushiki-gaisha Ōtobakkusu Sebun) (TYO: 9832) is a retailer of automotive parts and accessories based in Japan with branches primarily in Asia, with stores also located in France. The company was founded by Toshio Sumino, in 1947 at Fukushima-ku, Osaka as Fuji Syokai Co., Ltd. A year later he opened a second branch in Osaka. 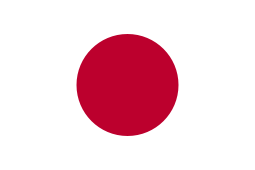 In 1960 Sumino opened the first large scale automotive goods store, the Fuji Drive Shop and in 1969 he was involved in motorsport sponsorship by sponsoring a car in the Japanese Grand Prix. In 1974, he opened the first of the Autobacs stores: the "AUTOBACS Higashi Osaka Store" in Daitō, Osaka. In the following year, Autobacs would run its first franchise store "AUTOBACS Hakodate Nakamichi Store" in Hakodate, Hokkaidō. In 1977 Autobacs would start to develop and sell its own motor oil and tire to be sold in its own store, and at the end of the decade opened their 100th store, and in 1984 opened their 200th store. On 11 July 2005, Autobacs entered into a Collaboration Agreement with the UK retailer Halfords, On 13 December 2005 Autobacs acquired 5% (11,400,000 shares) of the company at approximately ¥7.5 billion. 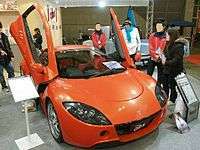 The specialty car manufacturer Tommykaira got into financial difficulties during the Asian recession in the late '90s. In 2001 it was bought out by Autobacs, which renamed the car manufacturing arm ASL (Autobacs Sports Car Laboratory), thus allowing the aftermarket parts manufacturer to continue trading with its usual name. The first car to be produced by ASL was the Garaiya. There is not much known about the company or the car, only that the Garaiya is a small sports car based on the Tommykaira ZZ, with around 180 hp using the Nissan Primera's SR20VE engine and weighing approximately 900 kg. Customers would take part in the final development of their car's suspension to tailor it to their preferences or driving style. A modified Garaiya has been fielded in the GT300 Class of the Super GT race series in Japan since 2003 by Autobacs Racing Team Aguri, or "ARTA", a team formed by Autobacs and Japanese former F1 driver Aguri Suzuki. Similarly, the Garaiya RS01 is a second attempt at the ZZII. However, the car still has yet to see production. The car was to be the larger and faster accompaniment to the ZZ with a variety of engines ranging from 2.0 to 3.5 litres to fit various racing regulations, as it was designed to be an FIA-spec racing car with a road version and a target weight of 1000 kg. The prototype was fitted with a modified Nissan Skyline GT-R (RB26DETT) engine producing 542 hp and also featured the R34 GT-R's ATTESA ETS all-wheel-drive system. ↑ "History". Autobacs Seven. Retrieved 2016-05-13. ↑ "Company Information Video". Autobacs Seven. Retrieved 2016-05-13. ↑ "Announcement of Collaboration Agreement with Halfords Group plc". Autobacs Seven Co. Archived from the original on 2007-09-28. Retrieved 2007-06-05. ↑ "Announcement of Acquisition of Stocks of Halfords Group plc". Autobacs Seven Co. Archived from the original on 2007-09-28. Retrieved 2007-06-05.